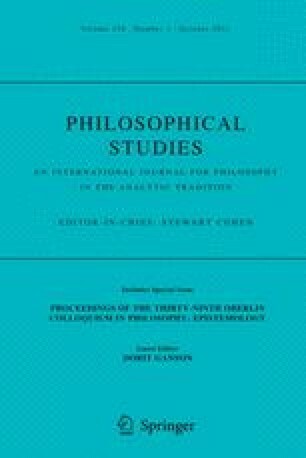 In his (2010) contribution to the Oberlin Colloquium in Philosophy—an early draft of the first chapter of his (2011a) Know How (at the time of this writing, still forthcoming)—Jason Stanley explores in more depth the Rylean arguments for anti-intellectualism that Stanley and Williamson consider and reject in their influential (2001). In particular, he concentrates his efforts on versions of the regress argument that appear in Ryle’s The Concept of Mind,1 arguing that there is no regress that intellectualism is committed to that Rylean anti-intellectualism isn’t. I want to here suggest that there might be.